India’s largest global flexible packaging solution company Uflex Limited has been incessantly contributing to enhance the ‘Brand India’ image since its inception back in the eighties. With its state-of-the-art manufacturing facilities for packaging films and packaging products in Noida, Jammu and Malanpur in India and globally acclaimed packaging film manufacturing plants in UAE, Poland, Egypt, Mexico and USA, Uflex has earned an irreproachable reputation as a preferred supplier of innovative, productive, cost-effective, optimized and eco-friendly flexible packaging solutions. Uflex is participating in P4 Expo India, which is one of best platforms for truly global companies to showcase their expertise, products, technology and innovations. P4 Expo will bring together the entire value chain of Petrochemical, Plastics, Packaging and Printing industries under one roof. The exhibition will run from 05 to 08 April 2016 at India Expo Mart, Greater Noida, Delhi NCR, India. One of the noteworthy exhibits at Uflex Pavilion will be its Solvent-Less Lamination Machine. The CE certified SOLVENTLESS STANDARD-S machine from Uflex works on an environment friendly technique with negligible solvent retention thereby alleviating odour from the laminate. This technology is widely used for meeting the requirements of food and medicine industry. The machine has been carefully engineered to ensure minimum rejection and a good film alignment. No drying hood is required in this machine, making it quite low on power consumption and space requirement. This gives a clear cost advantage to converters in comparison to solvent-based lamination machines. Venue: India Expo Mart, Greater Noida, Delhi NCR, India. Uflex will be in Hall No. 1, Stall Number 1B. 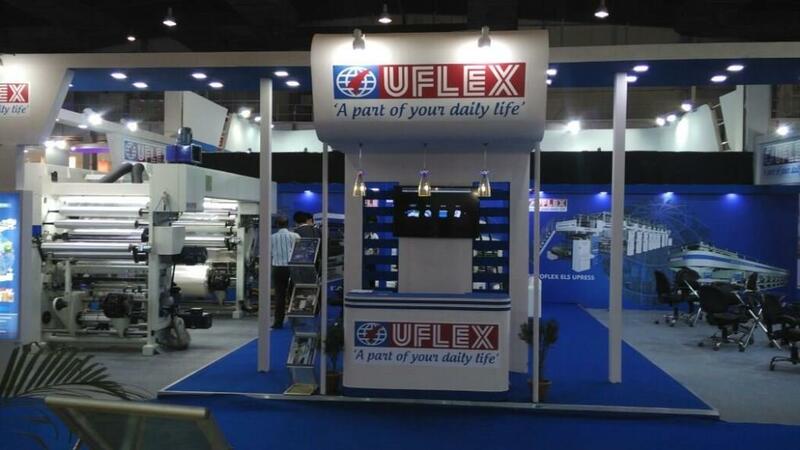 Uflex is India’s largest end-to-end flexible packaging company and an emerging global player. Since its inception back in 1983, Uflex has grown from strength to strength to evolve as a truly Indian Multinational with consumers spread across the world. Uflex today has state-of-the-art packaging facilities at multiple locations in India with installed capacity of around 100,000 TPA and has packaging film manufacturing facilities in India, UAE, Mexico Egypt, Poland andUSA with cumulative installed capacity in excess of 337,000 TPA.